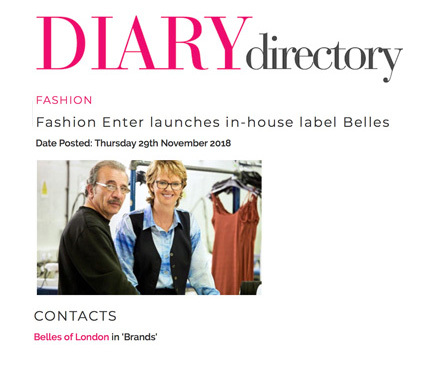 DIARY directory has been the leading provider of industry news, dates and contacts to professionals in the worlds of fashion, beauty and lifestyle, for the past 50-years. 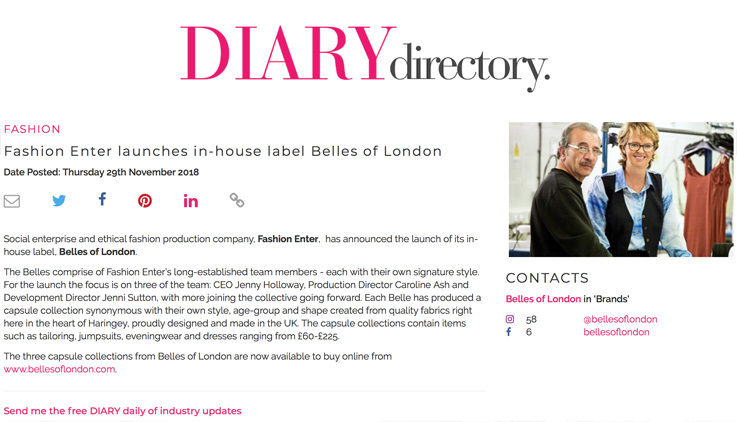 On the 29th November 2018 the industry resource posted about Fashion Enter’s launch brand Belles of London. To view the online version click here.